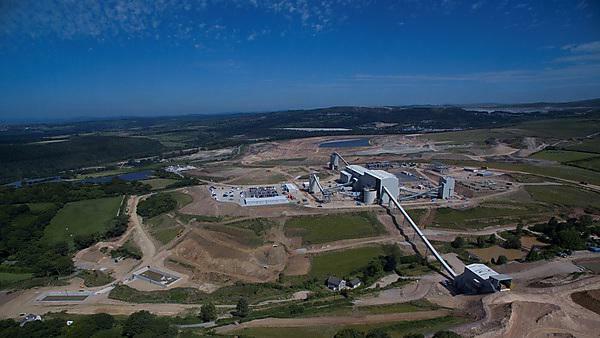 A recently reopened tungsten mine on the outskirts of Plymouth will be the subject of a free public event at Plymouth University. Being hosted by the University’s Sustainable Earth Institute, the evening will focus on the Drakelands Mine, a globally-significant mining operation to the east of the city. It will see speakers from the mine’s owners, Wolf Minerals, discussing how and why tungsten is extracted, the world’s tungsten supply and mining in the South West. There will then be a question and answer session, chaired by Professor Iain Stewart, offering people the chance to ask more about the mine and its operations. This is the latest public event to be hosted by the Sustainable Earth Institute, with the aim of increasing awareness and knowledge about a range of issues affecting society and the environment across the UK. Tungsten is critical to a range of industrial, mining and agricultural applications and key uses are in cemented carbides, steel alloys, metal products, lighting, drill bits and jewellery. Wolf Minerals is a British-Australian company, which originally signed an option agreement for the former Hemerdon Mine in 2007. It began construction work on the site in March 2014, completing on schedule in June 2015, with deliveries to customers commencing in September last year. The mine, which employs around 200 people, has one of the Western world's largest tungsten and tin resources and provides a secure supply of tungsten for a global customer base. The public event is taking place on Wednesday 2 March at Plymouth University, and prior booking is essential. For more information, visit https://www.plymouth.ac.uk/whats-on/tungsten-mining-at-plymouth-drakelands. The Sustainable Earth Institute is about promoting a new way of thinking about the future of our world. It's about the science of the planet, its health and well-being and what that means for us. We bring researchers together with businesses, community groups and individuals to develop cutting-edge research and innovative approaches that build resilience to global challenges. We link diverse research areas across the University including science, engineering, arts, humanities, health and business. If you’re an academic looking for a connection to industry, an organisation looking for academic research support or an individual who is inspired to work towards a sustainable future then contact us at sei@plymouth.ac.uk to find out how we can help. We need to celebrate and recognise our complex, dynamic, and unique world - after all, good planets are hard to find.